Please note that there is no guarantee of a successful outcome in any particular case. Each case is different. Results may vary depending on your particular facts and legal circumstances. One way to understand Mr. Baffuto’s exceptionally high quality work is to see his previous performance. Here are some sample winning cases achieved by Mr. Baffuto. Effective DWI defense requires bringing to bear not only legal strategy but also in-depth technical knowledge. 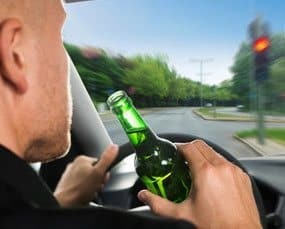 Even after New Jersey introduced breath testing on the Alcotest 7110, which is considered to be problematic to defend against, Mr. Baffuto continues with winning DWI cases for his clients all over the state. We care about clients. Let the numbers prove it. Client is a citizen of another country sponsored by his company to work in New Jersey. Upon arrival the client found housing on the west side of Jersey City. Bartholomew Baffuto, Esq. 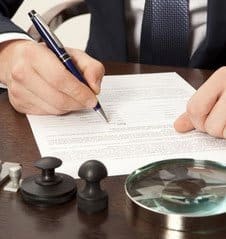 can be your business attorney in New Jersey. Litigation; Negotiation; Representation in Zoning, Regulatory and Environmental Enforcement. 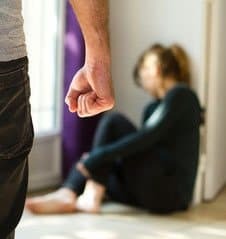 A representative example is that of a client that found himself being arrested and charged with criminal offenses relating to alleged domestic violence, and subjected to a restraining order. 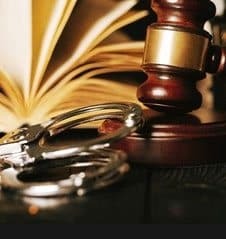 Leading Criminal Defense Attorney in New Jersey (NJ) Former Prosecutor in Irvington, Bartholomew Baffuto, Esq., Defends All Criminal Charges in New Jersey. The Attorney General’s (AG) Office in New Jersey emphasizes cooperation between local police and Immigration and Customs Enforcement (ICE) regarding arrests and detection. Client was an employee of a contractor. The contractor and a licensed public adjuster conspired with home owners to file insurance claims for flood damage. If you are arrested and convicted, the record of conviction is entered into certain databases and can be matched with various databases including those used for immigration. This section is an overview of various motor vehicle charges defined by the law in New Jersey. For your convenience. We are proud of our record. Defending DWI charges requires great knowledge, strategy, experience, negotiation skills, and patience. WE DO NOT TELL OUR CLIENTS TO PLEAD GUILTY. WHEN YOU DECIDE TO FIGHT FOR YOUR RIGHTS, WE WILL FIGHT FOR YOU. Although there is no guarantee of a successful result, we care about clients and we will do our best. THE EXPERIENCE TELLS YOU MORE THAN ANYTHING. One of Mr. Baffuto’s significant contributions as a DWI attorney is his active involvement in this landmark New Jersey Supreme Court case, where attorneys are challenging the State to prove the scientific reliability of a new breath alcohol machine (State v. Chun et al). Click here to see the news article by New Jersey Law Journal dated September 25, 2006. Getting any motor vehicle ticket, getting arrested on DWI or criminal charges can be very stressful and frightening. Having a conviction for serious charges can significantly affect your life. It can sometimes ruin your life. But you should be aware that being arrested is different than being convicted. You need an experienced, talented, patient lawyer that cares about clients. Being arrested on a DUI charge can be a traumatic experience and no one would want to go through that ordeal alone. A lawyer with deep experience. You never believed it could happen to you, but one night you’re driving home and you get pulled over. A DUI in New Jersey is no small matter. Sometimes the defendant really is a bad guy who deserves to go to jail and sometimes it is a circumstance of ‘wrong time/wrong place’. The information provided and the views expressed on this site are NOT LEGAL ADVICE. Legal advice can only be obtained by individual consultation. Q. Can you tell me more about the new defense invented by your office? How is it important to the defense of my case? A. 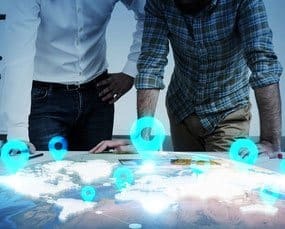 This office has been continuously working on mathematical and statistical analyses with a statistician to develop new defenses. In defending against results from a newly introduced instrument, the Alcotest 7110 in New Jersey, the lawyer needs to have technical knowledge. Our statistical consultant has been assisting this office since the Alcotest litigation in State v. Chun, et al. In the summer of 2009, we innovated a defense that reviews the breath readings. When you blew into the machine at the police department, the machine yielded a reading (If not, you probably were charged with refusing to be breath tested). We developed something that has invalidated and challenges forensic support for readings and has excluded breath test results in most cases where this office has been retained. Q. What is the significance of that? A. In prosecuting a DWI case, there are mainly two types of evidence: 1) breath readings and 2) observation evidence. The very first thing (and also probably the most challenging thing) in defending a DWI charge is to exclude the breath result from evidence. With our discovery, this office succeeded in proving to trial courts non-compliance of the instrument with the Supreme Court requirements. Because of this, breath readings were excluded from evidence. 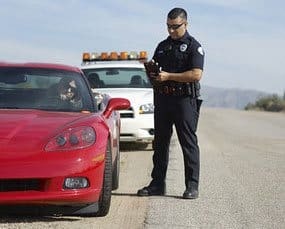 That means, a first offender in New Jersey with a breath test result of 0.12, for instance, instead of losing a license for 7 to 12 months, he or she would have lost their driving privilege only for 3 months. As you see, defending a DWI charge requires technical knowledge. Mr. Baffuto’s knowledge of the Alcotest and extensive DWI defense experience have enabled him to exclude breath readings from evidence. Q. Is there any defense to DWI? Other attorneys told me that there is not much I can do. A. Of course there are many defenses to DWI charges in New Jersey. You probably did not find the right attorney to defend your DWI case. Drunk-driving defense is a complex and technical field in which, in my opinion, an attorney must concentrate. Of course there are many defenses and I use everything I gained as a top DWI attorney to defend my clients. Now that you see my winning cases, you see the benefits of retaining an attorney to fight your case. You have to remember that the best scenario can happen only when you hire the right attorney. You have to see to believe it. Go to "Sample Winning Cases of DWI &Other MV Cases" to see actual winning cases. Q. I want to fight my DWI charge. 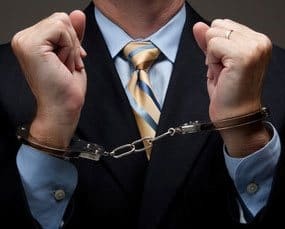 How do I choose the right attorney? You should choose an attorney based on your legal needs. If you want to fight your case, you should choose the lawyer who will fight for you. Some lawyers may say, "there is not much you can do about DWI. I will charge you reasonable fees and I will get you the minimum penalties." If the lawyer cannot tell you what she or he can do for potential clients, in my opinion, you cannot expect much from that lawyer. If you are a non-US citizen, your immigration status may be an issue. This office tailors defenses for international clients in consultation with an immigration attorney to protect their future status in America. If your immigration status can be an issue, you should choose the right lawyer who knows your issues. If you are non-US citizen, read "Non-US Citizens Should Know Immigration Consequences" " Chun" attorneys may be a good idea if you would like to have some objective way to screen attorneys besides "win rates". Needless to say, I am the "Chun" attorney who formulated the strategy for the entire defense. There are only seven defense attorneys in the entire state involved in the New Jersey DWI Supreme Court case named, State v. Chun et al. Through this litigation, these attorneys did an enormous amount of research, preparation of cross-examination of State's expert witnesses, and learned about the machine in depth. I am the right DWI attorney for you. Go to: "State v. Chun, et al. 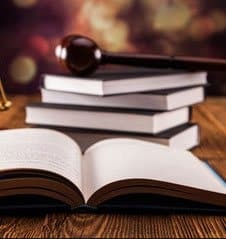 : New Jersey Supreme Court DWI Case" to learn more about this influential litigation. It is your decision to choose the right attorney. Go to "Selecting An Attorney" to fully educate yourself.